Today the topic of our conversation is graphical interfaces for MySQL. We are going to share information about the most popular GUI Tools with you. So, welcome to our hit-parade where you will get the knowledge about 10 nominees for coders’ award. The first place belongs to Workbench, which was made by Sun Systems/Oracle and could run on Microsoft Windows, Mac OS X and Linux. 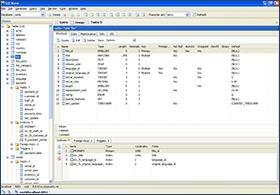 This tool unites development and administration of databases and this one is a successor to DBDesigner4. Silver medalist of our hit-parade is Navicat. 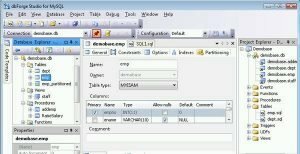 The company PremiumSoft CyberTech Ltd created this tool and it is being used for both a database administration and software development. Programmers say Navicat is quite simple for beginners in MySQL. The leader number three is tool, which is called Sequel Pro. This program is a free application and has open-source license. The programmers are able to manage MySQL databases: run custom queries, add and remove rows, make changes in different fields etc. The fourth tool is HeidiSQL made by Ansgar Becker. 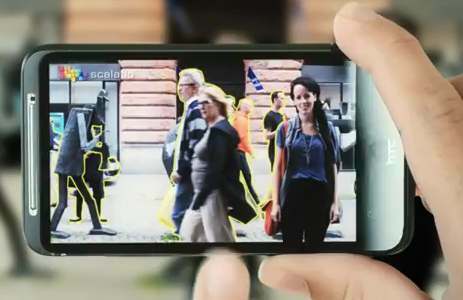 This application has open-source license but unfortunately, the developers stopped supporting the project in March 2010. The GUI Tool number five is PhpMyAdmin. This one is also free application, the program supports running on Microsoft Windows, Mac OS X and Linux (PHP 4-5 and MySQL 3-5). It was written in PHP, this tool is oriented for the administration of database over the Internet. 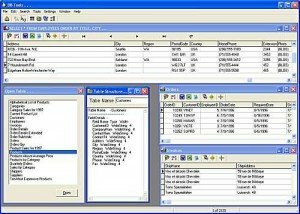 Number 6 is SQL Maestro MySQL Tools Family written by SQL Maestro Group. The cost of this tool can be in the range $99-1949 depending on license and bundle. There are such versions of the applications as SQL Maestro for MySQL, Data Wizard for MySQL, Code Factory for MySQL, Service Center for MySQL, and PHP Generator for MySQL. The seventh partaker of the hit parade is SQLWave Nerocode manufactured by Nerocode. This one costs $99 and it is necessary for to automate and simplify the database development process. The eighth place belongs to DbForge. This program can spread both without payment and it has the price $49.95 (non-commercial standard edition) or $99.99 (non-commercial professional edition). The developers may use DbForge for development and administration of database. The following application is DBTools Manager created by DBTools Software. The program can run on Windows 2000, XP, Vista, 7 and standard edition of this tool is free. However, there is an enterprise edition, which costs $69.90. The last item is MyDB Studio, this is the program of H2LSoft Company. This tool spreads as a free application with freeware license. The experienced coders say that everyone can make a right choice and use those tools from our hit-parade that he or she needs. 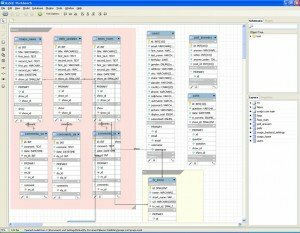 Speaking about MySQL GUI Tools in general, this software could be considered as a widespread tool that enables specialists from different software development fields work more quickly and efficiently. 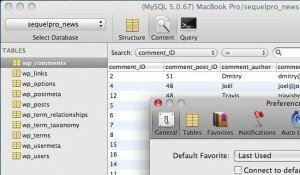 MySQL GUI Tools appear being an intermediate link between code and interface. 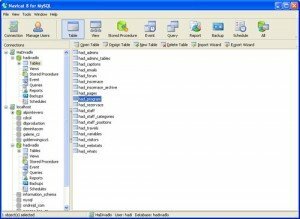 These tools could be useful for different kinds of analysis of websites and web applications databases as well as for ordinary databases. QArea being the software outsourcing company that follows all the modern tendencies in IT world provides its specialists with such kind of tools that make their work being easier and more efficient. If you need high-quality services in web development, software testing, mobile or desktop application development, our specialists are ready to start working on the project of any level of complicity. To request a quote for QArea’s services just contact our sales department. Be sure you’ll get a free consultation.